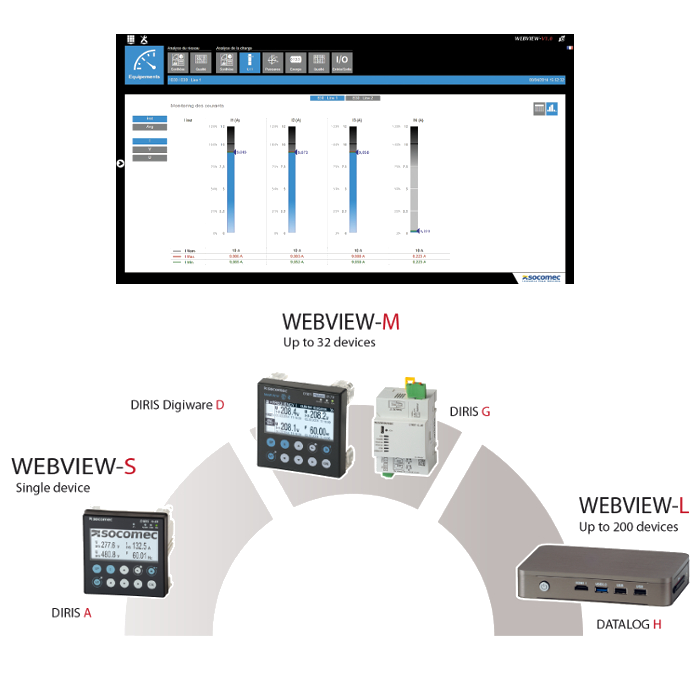 DATALOG H centralizes, stores and displays all the device measurements on a single clear and user friendly interface WEBVIEW-L.
- Remotely and automatically read multi-fluid energy meters and multi-function meters, isolated or not. - Pool, secure, store and provide the data to a computer application. - Connect your meters and multi-function measurement units in a 2G/3G/GPRS network. VIDEO - How to monitor electrical installation with WEBVIEW? VIDEO - How to analyze the historic of electrical measurement with WEBVIEW?